Blue and Yellow Lines Book Club: "Circling the Sun"
Meets on the 2nd Tuesday of each month. 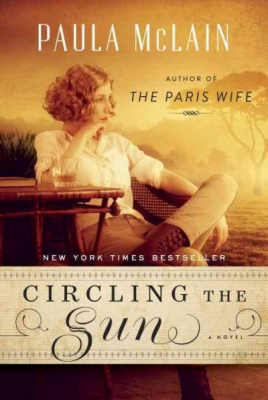 The December book is Circling the Sun by Paula McLain. We will also have a book swap! Bring your already read favorites to trade with your fellow readers! Newcomers are always welcome. Upcoming book titles updated monthly. Pick up Book Club copies from the service desk at the Aurora Hills Branch Library. For more information, call the Aurora Hills Branch Library: 703-228-5715.